What Are the Benefits of Egg-White Protein Powder? When picking a protein powder, you may have looked at whey, casein or even vegetarian protein supplements, like soy or hemp. One that is often overlooked, however, is egg-white protein powder. This powder has many benefits as a supplement and may also be superior to dairy or plant-based proteins for certain individuals. The proteins in egg whites digest at a moderate speed, according to sports scientist Jim Stoppani. Whey is a fast-digesting protein, while casein is considered slow-digesting. Because egg-white protein powder falls somewhere in the middle, it keeps muscle protein synthesis going for longer than if you consumed just whey on its own, adds Stoppani. One of the most important factors when picking a protein supplement is the amino acid content. Amino acids are the building blocks of protein. Your body can make 10 amino acids, but there are also 10 essential amino acids that must be obtained from food. A food that contains all 10 of these is known as a complete protein. Egg-white powder is a complete protein, whereas plant-based protein powders like rice and pea are incomplete. While eating whole eggs may be a good way to bump up your protein intake, eggs also come with added fat and calories, which may not be in line with your goals. 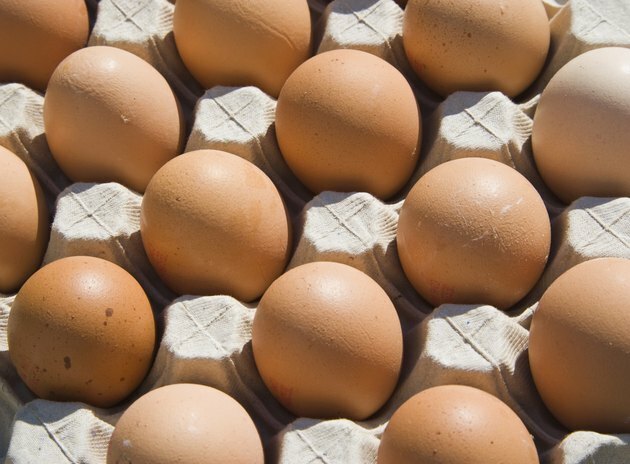 One large egg contains around 5 grams of fat and 6 grams of protein. You'd need four whole eggs to get the same amount of protein as you do in a serving of egg-white powder, which would mean an extra 20 grams of fat.